The second printing of a History of the descendants of William Judson of Connecticut (database contains over 12,000 individuals), from which most Judsons in the U.S. descend, has been written by Linda Dolby, a Judson descendant. 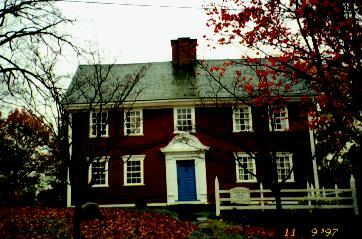 Built about 1750 by Capt. David Judson on the site of his great-grandfather William's 1639 stone house, it was home to nine Judson generations until 1888 when the house was sold to John Wheeler. 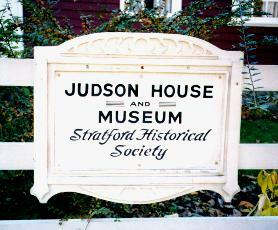 In 1891 the house was sold to Celia and Cornelia Curtis and in 1925 was willed to the Stratford Historical Society. The Society authentically restored the house to its 18th century condition under the supervision of Elmer Keith (an authority on architecture of that period) and Abbott Lowell Cummings (Asst. Director, Society for the Preservation of New england Antiquities). 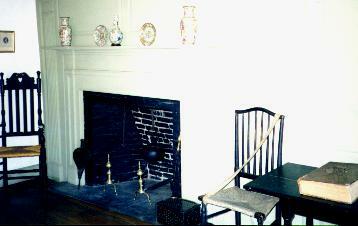 The actual work was largely done by volunteers who continue to help maintain the house today. 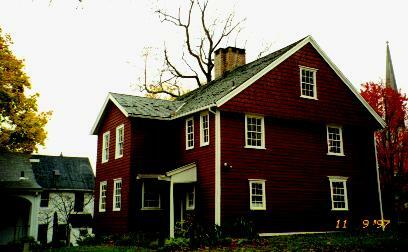 Judson House, with its large central chimney into which are built 6 fireplaces and its post and beam 2-story construction, represent a transition between the saltbox and Georgian style houses. The house is located on what was first called Watch House Hill, then Meeting House Hill, now Academy Hill between Main and Elm Streets. 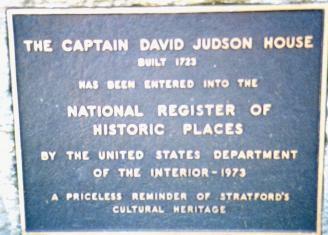 Judson House is listed by the Park Service of the Department of Interior on its Register of Historic Places. 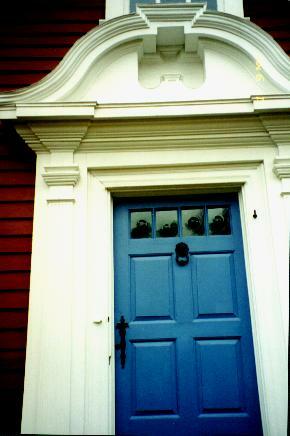 The original front door features four small panes of glass, thickened at the center, which are called "bullseye" glass. The dining room features a superb collection of Canton ware which can be seen in both the corner cupboard and on the table. 1792 Judson Family Bible once owned by David Judson, grandson of Capt. David Judson. 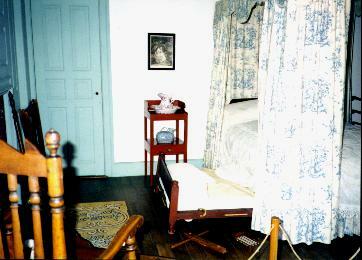 The upstairs bedroom features a poster bed with toile curtains and wall paneling in its original state. Photos of Charlotte and Eli Judson adorn one of the walls. 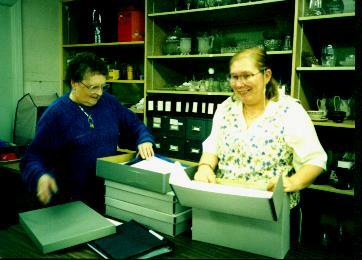 Judson descendants Carole (Ensign) Lee and Linda-Jeanne (MacLoon) Dolby working on their respective Judson research projects. For more information on the Judsons of Connecticut and elsewhere, check out The Judson Connection maintained by Judson descendant Linda-Jeanne Dolby. 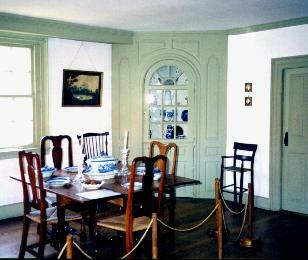 Judson House is open mid-April through October on Wednesday, Saturday and Sunday from 11-4.